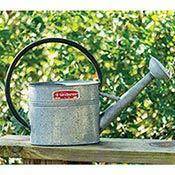 Spend time planning before planting bulbs in your landscape. Sketch the plan on graph paper before purchasing bulbs. This advance planning will assure that the proper number of bulbs are purchased. Since the foliage of spring blooming bulbs dies by early summer, this plan will provide a record of where the bulbs are planted in case annuals or perennials are mixed in later. As you develop this plan, keep in mind that bulbs bloom at different times. Some spring bulbs have overlapping bloom periods, but they still maintain the order in which they bloom. 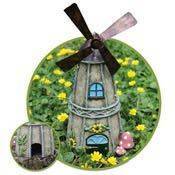 Spring bulbs will bloom from early February to mid June. 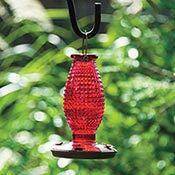 Summer bulbs will bloom from early summer to fall. 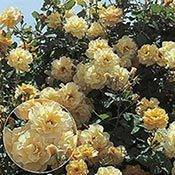 Following is a general idea of various flowers bloom sequence: These bloom cycles are for general reference. The following sequence depends a great deal on the weather in your area as well as the variety of bulbs you plant. 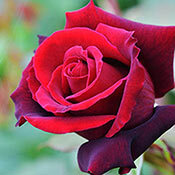 To see a sample of the bulbs that grow during each bloom cycle use our filters on the web site to sort by bloom time. 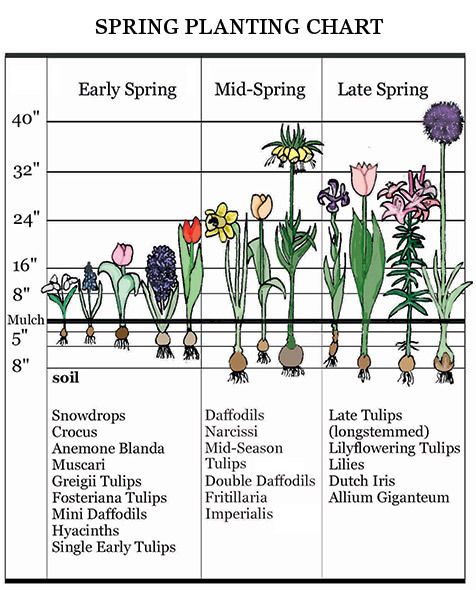 You likely know which bulbs are planted in fall, and which to plant in spring. But by doing a bit of bloom-time planning, you'll achieve a nonstop display of colour from early spring through summer - just by using easy-to-care-for bulbs! Snowdrops: Snowdrops, or Galanthus, are often the first blooms to appear in spring - and they're a great choice for areas that stay cool a bit later in the year. These short-statured plants with small white blooms are incredibly hardy, and most flower before the last day of winter! Snow crocus: The early-blooming varieties within the Crocus genus produces small flowers, with a longer blooming season, than giant crocuses. They'll start blooming in late winter, and can flower in colours of pink, purple, yellow, white, or even blue, depending on variety. Winter aconite: Imagine a golden floral carpet replacing your winter snow cover! That's very nearly what you'll get from these early-blooming yellow flowers. Winter aconite offers great coverage for bare flowerbeds in early spring. The leaves are very attractive as well! Early snow glories: Glory-of-the-snow, or Chionodoxa, are another "northern" plant that can actually perform well in both northern and temperate climates. These fabulous blue star-shaped flowers are among the earliest flowers you'll see each spring. 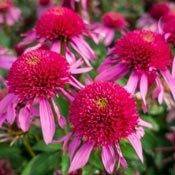 They're also great for naturalizing in yards or flower beds! 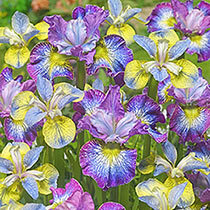 Dwarf iris mixture: Some varieties of Dutch irises bloom extra early - usually low-growing dwarf irises! Try a mixture of dwarf irises, such as this one from Breck's. 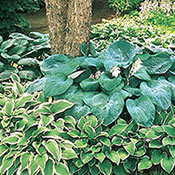 They'll grow year after year and offer early-spring ground cover well before the larger bearded iris bloom. Giant crocus: Just like smaller species crocuses, giant crocus are great for naturalizing. Plant a drift of giant Dutch crocuses of a single colour, or mix colours for a more natural effect. 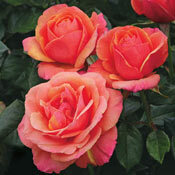 Their larger flowers (usually 4" to 6" in height) provide a lovely, low-growing pop of brightness. Trumpet daffodils: Trumpet daffodils are the classic daffodils, with cups longer than their petals. 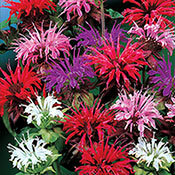 They feature a single flower per stem and are very hardy - and bloom soon after the snow melts! Tulips: Mid-season-blooming tulips include jumbo varieties, classic apeldoorn tulips, Triumph and Darwin tulips. Many of these tulips make up the traditional Dutch tulip fields, and are great for planting in large, multicoloured drifts. Darwin and Triumph tulips are hybrids bred for exceptionally long bloom times - they may last for a month or longer! Daffodils: Giant daffodils, as well as large-cupped and small cupped daffs, bloom in mid-spring. Large-cupped daffodil cultivars feature a cup longer than one-third the length of their petals, but not as long as a trumpet daffodil's. Small-cupped daffodils have (you guessed it!) smaller coronas. Blue grape hyacinths: Blue muscari blooms a bit later, and a bit longer, than standard grape hyacinths. The unique colour of blue grape hyacinths really stands out among other mid-season flowers, and their low habit - growing 6" to 8" - means they pair well with taller flowers. 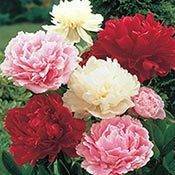 Late season tulips:Late-blooming tulips include some of the fanciest and frilliest flowers: ruffled parrot tulips, peony-flowering double tulips, and some late Triumph varieties. 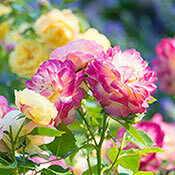 The bright colours of these unusual flowers will put you in the mood for summer. English wood hyacinth: Sometimes called Spanish bluebells, these plants produce spouts of dangling, bell-shaped flowers. 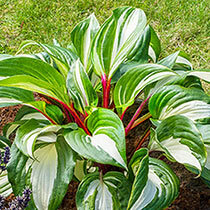 Plant in patches or along the back of a bed to add a bit of mid-height interest. They're very deer-resistant, too! Golden Bells daffodils:A unique species daffodil with large golden cups, the Golden Bells daffodil will add plenty of spring colour to your walkway or rock garden. These daffs have a low-growing habit, and perform wonderfully as a carpet or ground cover. Asiatic lilies: Asiatic lilies are the earliest bloomers of the lilium family, and the easiest to care for! 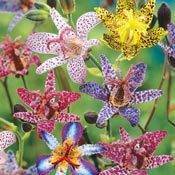 Several types of asiatics - from single-bloom standards to short and spunky border lilies to multicoloured tango lilies - are available to bring your spring garden into bloom. Dutch Iris: Among the most popular perennials in the late-spring set, bearded Dutch irises grow in a vast variety of colours - and it seems new varieties become available every season! Dutch irises grow from rhizomes, and come back year after year. 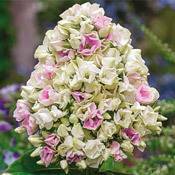 They're a great "stand alone" planting, or can be mixed with other tall flowers for a garden with heightened style. Alliums: Another high-rising late-spring bloom, alliums feature a single star-shaped or "pom-pom" bloom per stem. 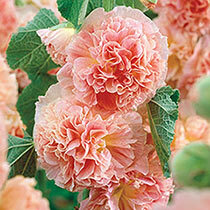 These whimsical flowers can be a bit tough to find at big-box stores, but they're worth ordering online or by mail! Daylilies: Daylilies bloom at the same time as Dutch irises - and just like irises, there are hundreds of cultivars in dozens of colours, shapes and textures! You'll find daylilies (Hemerocallis) in shades ranging from classic red to pastel pink to neon green. 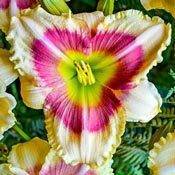 Look for candy-coloured daylilies with beautifully-hued centers or piped edges. 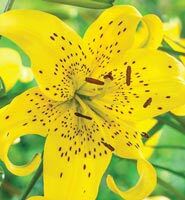 Try short dwarf daylilies, or big and bold double-flowering varieties. Many daylilies are the "reblooming" sort, meaning that you'll get a second round of flowers later in the season. Gladiolus: Glads bloom just at that point of late spring when the weather turn toward the tropical. 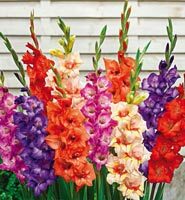 These big and beautiful flower spikes work well when arranged in a variety of colours - bright Glamini glads have become particularly popular. 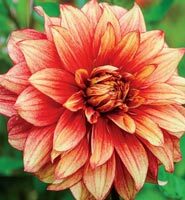 Dahlias: From miniature dahlias to oversized "dinnerplate" types, dahlias have taken over American gardens in recent years. 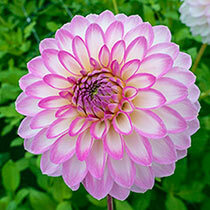 Dahlia tubers are planted in the spring, and bloom in summer. These high-impact flowers grow in a rainbow of colours, and, increasingly, you'll find massive flowers with amazing patterns. 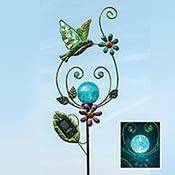 A great way to add a touch of whimsy to your garden! Begonias: Begonias are one of those quintissentially "summertime" flowers. 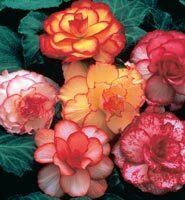 Hardy begonias, unlike the annual begonias sold in many garden centers, will bloom year after year, and many constantly-blooming varieties will flower for several weeks or months. 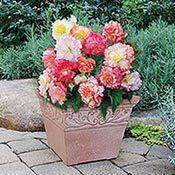 Try cascading begonias for the perfect hanging basket, or plant frilly double-blooming begonias to add texture to a bed. Canna: Cannas bloom in August or even September in some regions - making them excellent fillers for the post-July fade that may happen with other flowers. Canna's tall stems sprout vivid, tropical flowers, and their foliage is glossy, too. They're a great way to wind down the growing season! Crocosmia: Don't let their short stature fool you: fiery crocosmia flowers have a big impact in the garden. These red- or orange-coloured blooms add a lovely pop of energy to beds or borders, and their presence won't go unnoticed by butterflies and hummingbirds!